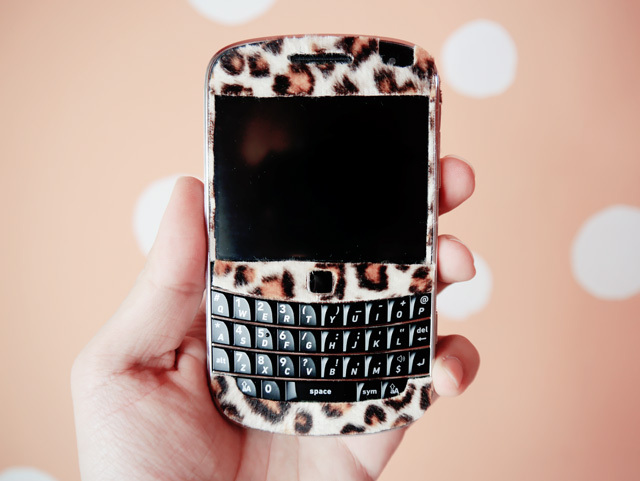 My new blackberry in... leopard prings! Yayyyyy! I've finally done with skinning my new bb yesterday night!!!! This time round it will be more tedious, because we have to do it from scratch, unlike my previous pretty orange polka dots bb where I can just peel and stick! For this time round we have to trace those parts that I wanted to skin out on tracing paper, then trace it again on the sticker and then cut it! It's super troublesome lah and luckily I've got my awesome friend, Goshi to help me! Where almost the whole skinning is done by him except the batter cover door, which is done by.... yours truly! Hahaha! I know right, super embarrassing! But here you have it anyway, the pictures!!!!! 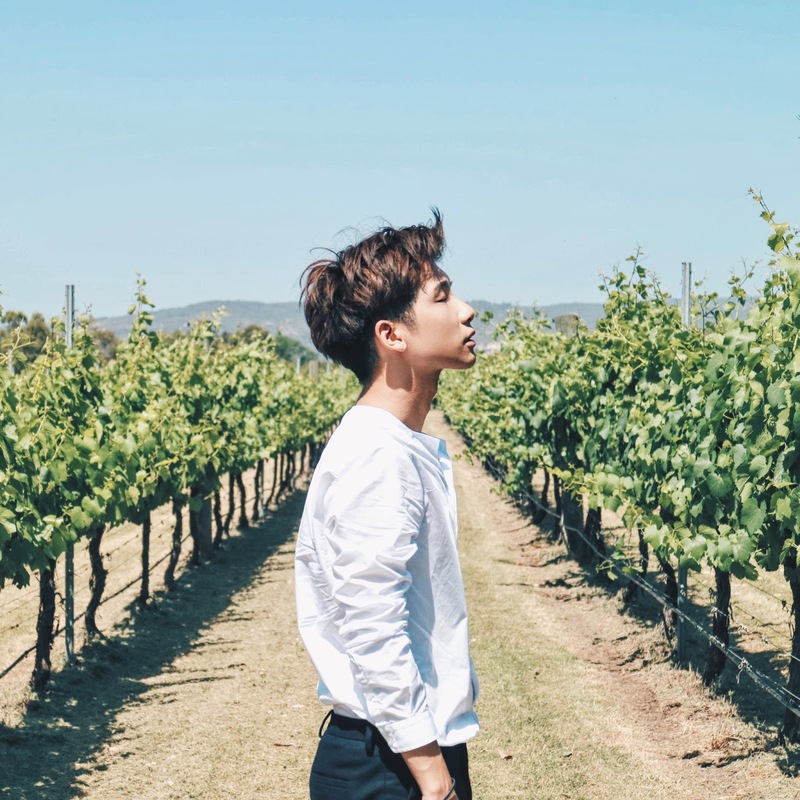 i followed both you and osf blog. both of you post the same thing above one another , i meant it showed on my list. 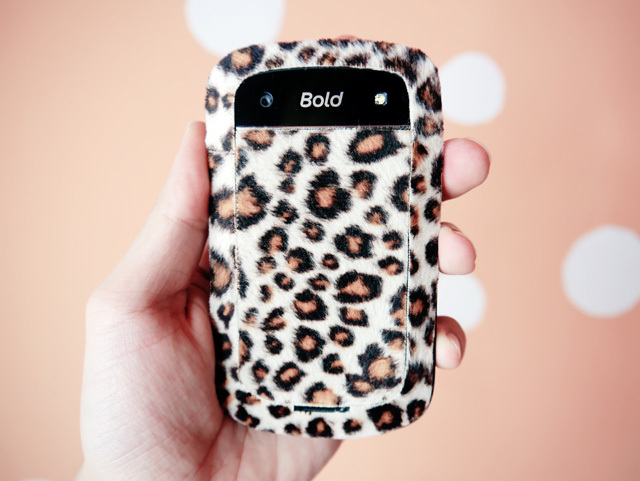 same bb skin cover. Or maybe, almost the same! 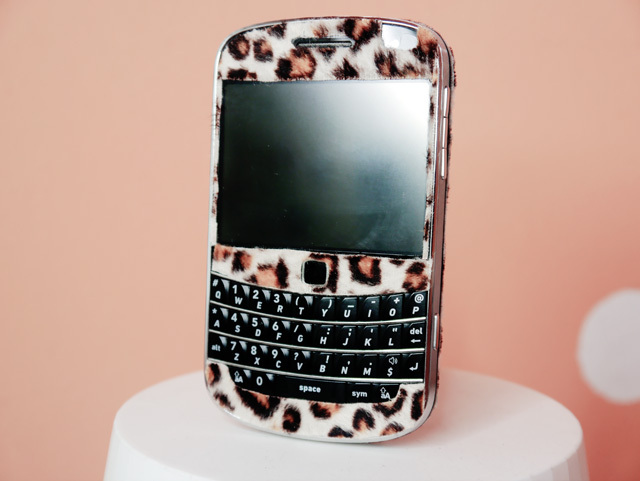 Do you think you can do a tutorial on how to skin a blackberry =) plss. Where did u get that skin? How much is it? 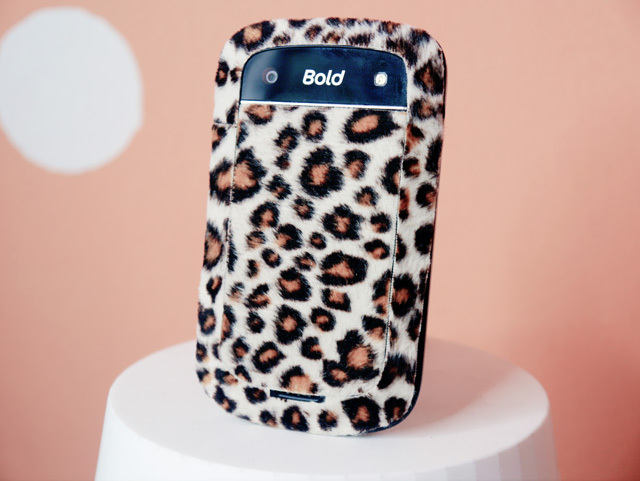 I love a customized phone :) Hopefully the fur doesn't get dirty too quick! osf's is housing. his is skin.